I am not sure whether this is best done as a blog post or a discussion thread, but since I am as much canvassing feedback and comment, I will start this as a thread and maybe summarise later in a blog post. I want tell a quick story as an introductory analogy. Back around the early 1980s when real computers took up most of a room, "Mini computers" were only the size of filing cabinet and ran at 1 MIP or thereabouts, and the first 5MHz IBM PC had only just been introduced, I remember reading a "futures" paper that took Moore's Law and extrapolated it into the future. What it concluded was that 1 GHz computers would be quite possible in the future, but identified that sticking point would be the memory: because of the speed of light, it would have to be less than 6" away from the processor! Unbelievable. Except that's how all processor boards are laid out today: memory on-chip or right next to it. My current house was designed around the time this paper was published: lots of copper piping and loops, the boiler on one wall, the hot tank 4m away in a cupboard, the kitchen 8m away again in the other direction. So the copper is in a mix of 28, 22 and 15 to get the flow rates -- and lots of copper to heat up on the way to the kitchen taps. Old mind-set. OK, plumbing technology hasn't changed nearly as much as computing, but a lot has changed, though many plumbers still hang onto techniques that were good practice 30-odd years ago. What I've tried to do in this new house is to abandon unnecessary concepts and optimise the system as much as possible for the use we want to put it to. So one core aspect is that we've already planned the house to centralise the wet works as much as practical: the house layout is roughly 3 × 2 tiles on two stories and a 3 × 1 in the warm roof. 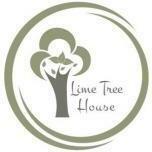 It is double fronted with living, dining and sleeping to the left and right. The front centre is a hall and landing column giving access to all rooms, and the rear centre contains the groundfloor (GFL) toilet, utility, bathroom, and one en-suite. Another en-suite backs onto it. We're using a HEP2O manifold system, so this means that all of the pipe runs are short, except the 7m run to the kitchen taps and a 6m run to the en-suite in the loft. The only long run of low-flow hot is to the loft en-suite hand basin, so we've just kept it simple and used 15mm HEP2O everywhere. This second photo is of my GFL toilet. The cold manifolds will be on the right (the two groups are high flow and low flow respectively) in a boxed in section above the Gerberit and the hot ones on the left in what will be the services area some 1.4m wide × 0.65m deep that will house all of our under floorheating (UFH) and waterworks and be separated from the toilet area itself by removable quick release panels. All of the pipework in the service cupboard will be in copper, and sized 15 / 22 / 28 according to flow rates. My preferred approach is to use end-feed copper joints / fittings except where functional fittings are compression. This being said, I also use occasional compression joins to allow me to make up any soldered sub-assemblies on the bench, so that I don't have to solder in place. The hot runs have been reduced in size to the absolute minimum to avoid waste heating. I am using 2 × SunAmpPV (SAPV) for my DWH heat store. I am metering water flows and temperatures. I am preheating the cold feed for DHW to ~21°C using a plate heat exchanger (PHE) coupled to the UFH slab loops. So I have the 2 × SAPVs each using the supplied 15mm tails to a common 22mm @ ~55°C that is mixed with a 22mm @ ~21°C and fed directly into the DHW manifolds. The SAPVs are on a platform in the cupboard to keep this hot line short and to provide space underneath for the UFH subsystem. Each SAPV has a electronic value on its input feed, so that only one is normally connected in flow. 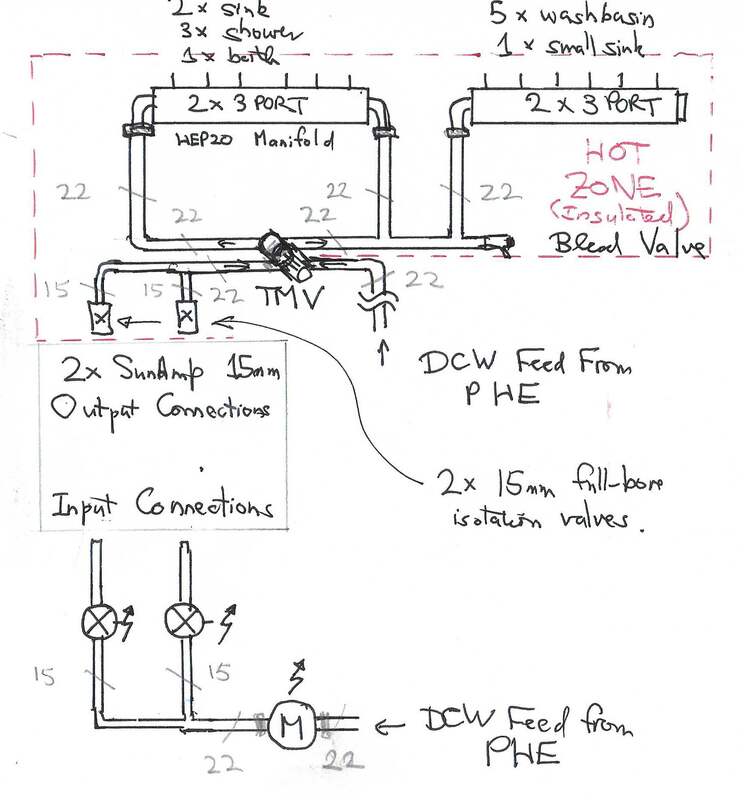 Above a threshold flow rate, the second valve is opened to allow parallel flow from both; the "on-stream" and standby SAPVs are swapped during the day to balance the heat drawn down from the units. The PHE merits some explanation. In the winter our cold supply is typically at 5-7°C mixed which is the boosted to 48°C for supply to the hot taps. So that's a delta of 42°C, say. By using the slab to preheat the cold supply to ~21°C this drops the delta that's drawn from the SAPVs to 27°C and this effectively increases the supply capacity of the SAPVs by just over 50%. This is isn't free of course, because I will still need to add this extra heat to the slab on heating days, but we still effectively get 3 SAPVs capacity for the price of 2, and our maximum hot flow rate is prorated accordingly. On the thermal feed side, the PHE is (always) serially connected in the UFH circuit behind the return UFH manifold. The H/W flow rate is used to create a demand that will override the UFH circulation pump to the on mode. The intelligent charging and 1 / 2 use of the SPVs requires my Home Automation system to collect flow rate and temperature info from these feeds. My original plan was to put the digital meter and electronic valves on the hot output side of the SAPVs, until I had that "Durrrhhh" moment and realised that I could just as easily meter the input cold side. So here is the proposed schematic for my DHW. I have still to select the Digital / pulsed water meter, the valves and the Thermostatic Mixer Valve (TMV). But any personal recommendations / comments will be appreciated. 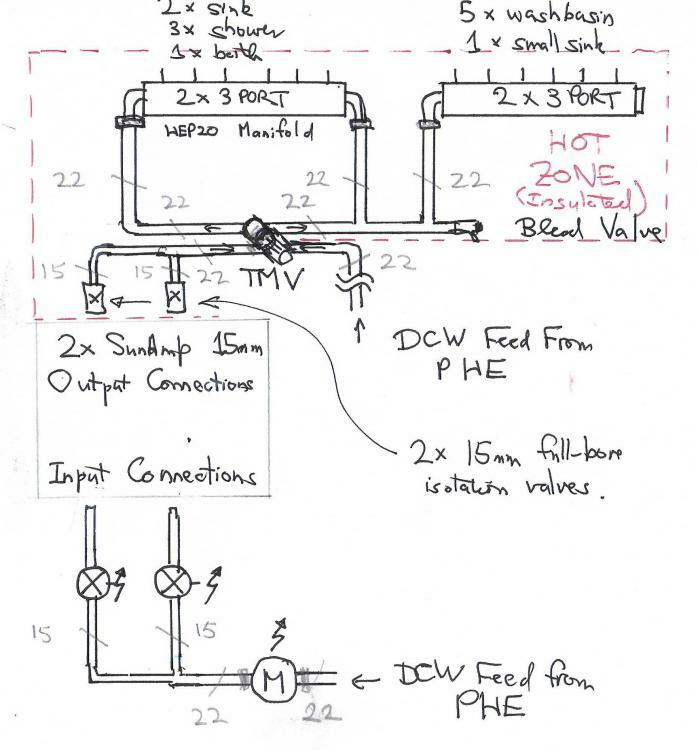 The hot zone (that is pipework over ambient temp, and which must be lagged) comprises the 2 × 6 port manifolds, the TMV, some 1m of 22mm pipe and 1m of 15mm pipe a couple of full bore 15 mm isolation valves and the two flexible couplers to the SAPVs. Arguably, I should do the common section on the output of the TMV in 28mm, but given that its about 5cm long, there doesn't seem a lot of point. 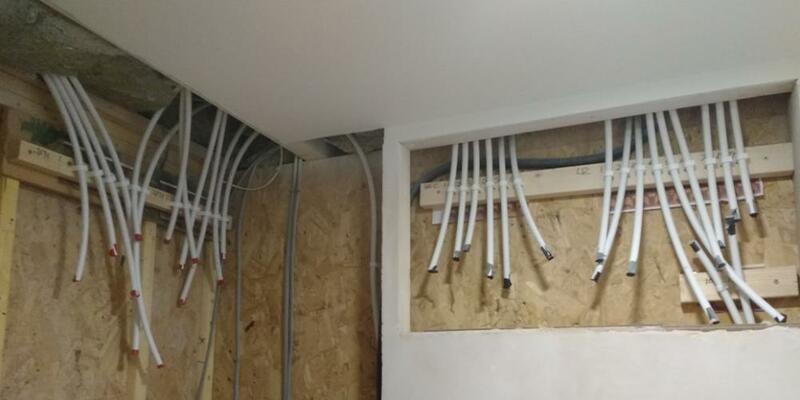 I haven't shown the SAPVs because they are just white boxes with some connectors at the back, that the flexible 15mm tails connect to. What I've missed off this diagram is the four temperature sensors: one on the combined input to the SAPVs, one on the combined hot O/P into the TMV and two one each of the output tails from the SAPVs. Explain all acronyms of first use. Any recommendations for the TMW, the 2 × electrically controlled shut -off valves and the digital / pulsed water meter, bearing in mind that these need WRAS approval for use on domestic cold potable water. I've got a box some 30×15×60 with all of my hot stuff in it that needs lagging. Any recommendations here? I was thinking of using that Aluminium covered quilting. What are you going to use to manage the hysteresis on the flow valves ...?? On/off is a bit binary, would you not be better using a motorized valve using PMW based on flow ..?? One valve 1/2 open which allows your basins etc to flow but then the second can modulate in before they both go full bore ..?? I can make what may sound like an odd recommendation for valves. I looked at the price of motorised ball valves and found they were expensive. So, 3 years ago I took a risk and bought a couple of 12V motorised ball valves from China. The risk was obvious, they may not have proper bronze or brass bodies, the plating on the ball might be poor, the electrics might be a bit grim, etc, but there were loads of them for sale from different vendors and they all looked identical. I also spotted them on a UK sold system (I won't name the company, but they are well-known) as a part of a packaged DHW system. They were so cheap that I decided to strip one down completely and have a really good look at the materials, workmanship etc. The other one I put on a rig and ran every five seconds continuously, from a timer, as a crude reliability test. I have to say that the valves were the equal of many manual ball valves from the normal UK suppliers (in fact better than some). I suspect that a fair few UK supplied ball valves are actually made in China anyway! After 7 weeks of continuously running the test valve every 5 seconds, 24 hours a day, it was still working flawlessly. So, I went and ordered four more, two to use and two as spares. The motor head can be replaced without disconnecting the water connections, and inside it the micro switches that control the limit stops are standard sub-miniature ones, as is the small relay. The motor and gear train look to be proprietary parts, but with luck they may not be the primary cause of any failure. I had the metals tested via a former colleague, and the spectroscopic report shows the brass to be of good quality. I sliced the ball in half and was surprised to find that it was stainless steel, rather than chrome plated brass. I can highly recommend these valves, even if the source does seem a bit dubious. I think it's a bit like a lot of Chinese stuff, there's a lot of junk around, but hidden amongst it are some good quality items at keen prices. They come in both 1/2" and 3/4" body sizes, and I've found that the smaller DN15 valves are absolutely fine for a low heat output UFH manifold and also fine for the 7 kW maximum from our ASHP flow to the buffer tank heat exchanger. The flow rate is a fair bit lower than the limit for a DN15 valve body for the sort of low power systems you and I have. Don't laugh, but I ended up buying them from Ebay, really because Ebay is slightly better than Aliexpress in terms of delivery times, I've found, plus, even though it's not great, Ebay do seem to have better customer protection than Aliexpress. FWIW, I'd say these meet the WRAS requirements, but they are aren't marked. The body is good quality brass, the ball is stainless and the seals are PTFE, so there's nothing in there to cause any problems, even if you live in an area with a fairly low pH water supply. @PeterW Peter, on-off is really what I want here. The two SunAmps are in parallel, mainly for capacity, but to a lesser extent for flow rate. What I am a little concerned about it balancing them, not so much in terms of max flow rate but in draw-down Joules. Maybe 95% of the time one SunAmp will happily feed the flow demand so my idea is that I always have at least one open (and normally only one, so that I don't get external heat losses from the other). I track the flow through it and the ∆T, so I can calculate the Joules draw down from it. I'll swap over once or a few times a day so that I roughly balance the use. Where we may need both open at once is on the very occasional time that 2+ showers / bath are going at the same time, and in which case I open both valves, and I assume a 50:50 split for draw down of Joules. I don't have photovoltaics (PV) so I only want to recharge them using E7 low tariff whenever practical. However, I also want to know (again less than once in a blue moon) when I am getting close to daily capacity and and here I will take the high-tariff hit for the convenience of not running out of hot water. I can say that my building inspector (and they sent their most senior bloke out for our completion inspection) wasn't the slightest bit interested in the pipe fitting, my water usage calcs or even the water testing I paid environmental health to do! He was in and out of the house in half an hour, and didn't even glance at the array of certificates and paperwork I had arranged for him in a neat pack on the kitchen worktop. He didn't even bother to take the copy of all the paperwork that I'd made for him away, but as he was leaving said that he'd email me the completion certificate later that afternoon! One question comes to mind :- Can you extract heat at a sufficient rate from the UFH system to maintain a ~15C preheat via the heat exchanger. I would expect up to a 10:1 different in flow rate between the two systems. Don't you just end up with a PHE with cold plates on both sides ? You make a valid point This depends on the UFH flow rates. 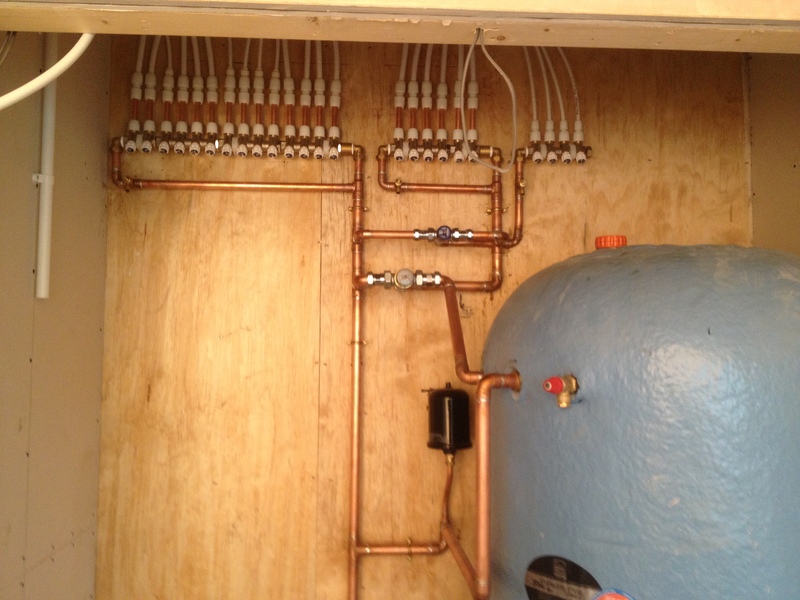 At a flow rate of 1 m/sec the UFH manifold will be circulating just under 30l/min. A full on shower might be half of this, so just doing the thermal balance at a 5°C to 21°C exchange, this would boost the supply to around 15°C. As you say nowhere near as good as 21°C but still worth having. Of course the efficiency would fall a lot if there were multiple demands, but this isn't a frequent pattern in our house and a lot of use: hand-basins, sinks, etc., are a lot less than 15l / min. And as I will discuss in a later post, there are times such as in the morning when the UFH loop will pull well over 25°C. This PHE might also be a post inspection update It really depends on the price of the PHE to see if doing this is worthwhile. @JSHarris Jeremy, what did you buy and how much did it cost? Another piss-ball is that the pulsed water meters typically generate one pulse per 10 litres which isn't really fine enough for what I want. Maybe I need a bit on LED sensor magic over on the face of the meter to directly read the little wheel which goes around once per litre. The reason for getting a 44kW, even thoguh at most it's delivering only a few kW, was to allow for the difference between the higher temperature difference used testing. I wanted as low a temperature difference as possible, and as the 44kW one was only around £50 inc postage, it made sense to go for that one rather than the one half the size. Neil, that's brilliant. I am not looking for absolute total flow accuracy but flow rate that I can measure with an IoT device. This fits the bill exactly. I think that this level of instrumentation and automation is fast becoming a post go-live system upgrade. @JSHarris Jeremy. Thanks. Just what I was looking for. Much appreciate both your inputs. So what is the current wisdom on TMVs? I am talking specifically about the mix-down of the ~ 55°C output from the SunAmp with room temp or colder Domestic Cold Water (DCW) to feed the DHW manifolds. Have you guys got any personal recommendations? Is 22 or 28 best here? The 28mm TMVs seem to cost crazy money. I've got 2 × 15 outputs from the SPV into 22 and the DCW into 22. The TMV output splits again into 2×22 a few cm after the TMV output. Our current house DHW is in a mix of 22 and 15mm copper which an internal cold header tank so is at ~ 0.2 bar and we've never had any problems. Is it worth a separate 15 or 22 TMV for the low flow hand-basins set at a non-scalding temp, say 48°C? So what is the current wisdom on TMVs? I am talking specifically about the mix-down of the ~ 55°C output from the SunAmp with room temp or colder DCW to feed the DHW manifolds. As you've got 2x 15mm outlets on the SPV's which are combined to give flow from both units simultaneously ( in parallel ) then there is merit to go to the 28mm TMV for reduced flow restriction and increased litres per min at the set temp. Do you ever see that many hot water outlets being used simultaneously to warrant such a decision? Will the incoming cold mains be man enough to allow this max velocity to be a realistic consideration? The flow through a 22mm TMV is really quite high tbh, and to give one example I previously fitted a 450ltr TS for a customer which had 22mm TMV set to 51oC. I ran both the showers simultaneously and the kitchen sink and they all ran more than adequately. There was a 300ltr cold mains accumulator to reinforce the cold main so it could maintain these rates, but the hot side certainly didn't seem to struggle at all. It may have if a bath was in the picture but running the bath whilst 2 showers are being drawn is a bit extreme. Anyhoo, a fortune? Check this TMV out. @Nickfromwales, when I get rid of this sodding man-cold that Jan's mate -- well really our mate -- gave me, I'll be starting to pressure test our system, so I will -- for the first time -- have a quantitative measure of our mains pressure, but from the subjective thumb-on-faucet test, I reckon that it's above 2 bar and below 3 -- but I might be wrong. I'm a sceptic by nature which means that hard empirical data that I trust wins out over beliefs every day. However unlike May, Trump and those other wankers, if I don't trust the data then I double check it rather that ignoring or simply rejecting it. And you might have noticed that my preferred medicine for man-cold is legally distilled and purchasable. Ho hum. Sorry other readers. Thanks to the back story on our house, we have got 1×toilet, 3×wetroom en-suites, and 1× bathroom -- in a house that will have 3 relatively dirty occupants 95% of the time (that is we bathe or shower less than once a day on average). Given that I once had 3 sweaty teenagers in our current farmhouse with its tank-fed indirect system, our new house will have at least 2× the supply capacity with 60% the demand, so I really don't envisage any issues in practice. Over the last 6 years (when there's only been 3 occupants in the farmhouse) we have averaged about 270 ltr / day mains water draw-off for all three of us, so I don't see the need for huge accumulators, even if the mains pressure proves crap. My current thinking is that we do have a DCW accumulator, so that we don't have feed issues if we do have a couple of showers going at the same time, but something relatively small -- say a 70ltr accumulator -- which should carry us over the two shower hump. However, I will order the TMW(s). Ta muchly. Mrs E doesn't think that we need a separate drop-down for the low flow basins, but she's far more likely to value your views on this than mine, so post away with your pearls of wisdom. PS. Do you ever drive over the eastern border? If you ever have to go up the M1, there's a very cheap hostelry just off J15 (This offer is also open to other selected members). With no dependants / infirm in the house there really wouldn't be any need for the second drop down, other than for comfort / convenience. I prefer the latter, so I have one in my house. The joy of just flicking the tap on at the full hot position and having comfortably hot ( user definable of course as TMV's are fully adjustable with a simple turn of an Allen-key ) is what I like. No flicking the tap between hot and cold to get the right temp, then the pipe work temp stabilises and you have to readjust it, then someone flushes a loo elsewhere and you have to adjust it again........why do this to yourself for change of £40? @TerryE, your old farmhouse would have had a large bore ( 22mm or bigger ) DHW pipe work setup with full bore taps and no restrictive valves such as a TMV. The flow rate therefore would have been good or very good. When you introduce 15mm pipe work though a PHE, then take it through a TMV, you have to start adding the various resistances together and summise from there. As that TMV is 1" body by default, then I'd use a piece of 28mm pipe coming out, going into a 22x22x28mm compression tee, ( Demountable for servicing ). Then 22mm to each manifold. I'm missing something here - Why aren't you using the Sunamp inbuilt mixers to give you the flow temperature you want at the DHW manifolds ? If you use the SunAmp inbuilt mixers then the full flow goes through the 15mm tails. By setting them to max, or 65°C say, then using the external mixers I will do a ~2:1 blend in the mixer with the DCW and so be able to sustain a higher flow. I also have 2 SunAmps in parallel and using the external mixer simplifies setup: only one TMV to trim. Anyway, that's my thinking, but we'll have to see in practice. I've been looking into the options for meters and valves. These Solenoid valve WRAS approved 2/2 way Normally Closed 1/2"BSP are £56.41 ea. and I can live with the 100% mark up compared to JSHs suggestion for the WRAS label . The metering is more of an issue. I can get WRAS approved meters either with M-BUS or simple pulsed output. M-BUS is a PITA, but my main concern is that these are really for billing-type applications where you want confidence in total flow rates. But they can also cause around 0.2 bar head loss which is less acceptable. I might just slip in one of Neil's suggested Hall-effect flow meters which is really what I want anyway. If I do use this type of meter then I will have to have some manual bypass for at least one of the SunAmps so that I can at least draw hot water if there's been a power failure. Just as quick Q, I came across this example in the Honeywell Pressure Reduction Valve (PRV) spec. I get the meter with isolation valves either side, the double check valve, the pressure gauge, the PRV anf the two main circuits to the right, but what is the device under the gauge? A scale inhibitor? Or any better guesses? Diaphragm, filter, spring and adjustment screw for the pressure setting. Gosh, isn't filtering the water supply a little extreme? I've managed 60-odd years without this. I've seen scale inhibitors installed. How common is this? Not really when you have things like pressure reducing valves or thermostatic mixer valves down stream, as the last thing you want is a spec of scale or stuff jamming them up. The same goes for an ASHP or plate heat exchanger, it's good practice, and in some cases essential (as it's in the manufacturers installation instructions) that some form of screen or filter be installed to keep stuff out of the narrow passageways in the heat exchangers in these devices. Our ASHP instructions were clear that a Y strainer was the bare minimum on the return to the ASHP, just to stop anything getting back into it's heat exchanger. Well, that was a useful Q to ask, as the answer caught me by surprise. I don't suppose anyone knows one that they would recommend?